his was Oriental’s Christmas of the Dink. Not an obscure character in the Grinch saga, but dink as in Merry Dinghy Christmas the theme of the 2015 Spirit of Christmas parade. On the early afternoon parade route there were more boat floats than usual — rubber inflatables and elegant wooden boats and even cardboard vessels decked out for the season. The littler of the little dinghies in the First Citizens Bank entry. No heavy clothing restricted navigation. 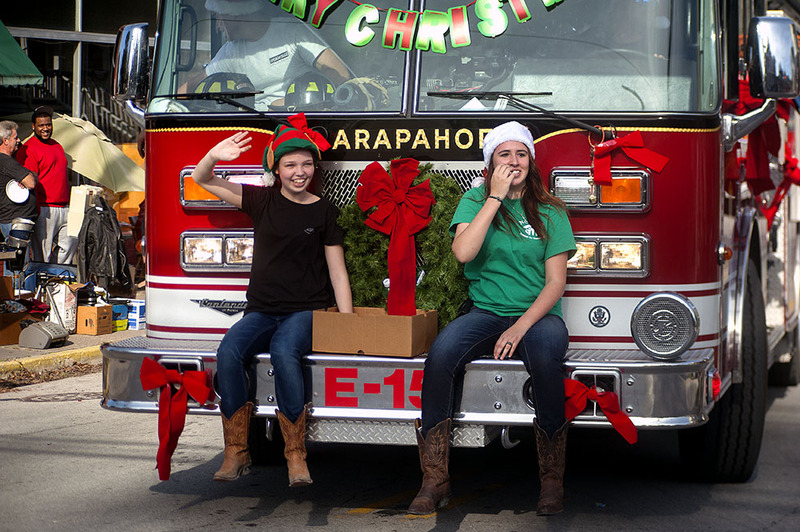 With temps in the 70’s, the Spirit of Christmas weather felt more like a cool day at the Croakerfest parade. Fish and Boo Ranger, dogs from Offshore Rafting, take in the spectators along the route while on break from their dinghy repair business. There were also those elements of surprise that make up parades in Oriental. This year, it was the political candidate with a platform – literally — forklifted high above the asphalt of Broad and Hodges Streets. And down on the ground, the goat on a leash who became a sideline attraction. A new height in political platforms. 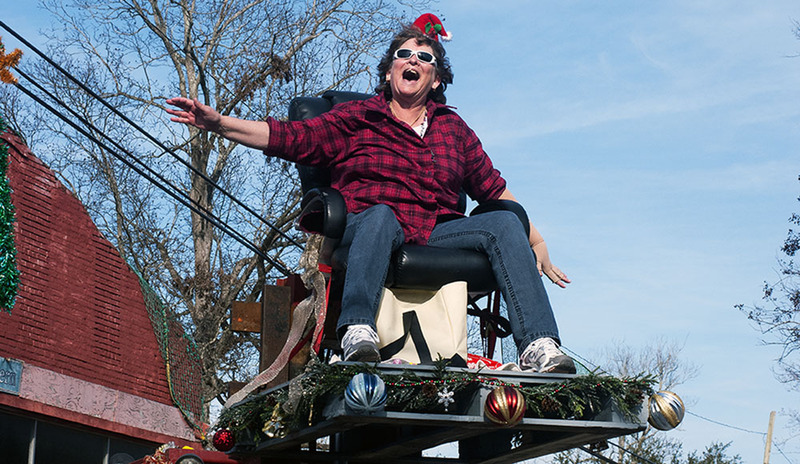 Oriental’s Candy Bohmert who is running for a seat on the Pamlico County Commission rode the parade route on a forklift platform. Her husband, Greg, ran the controls below. 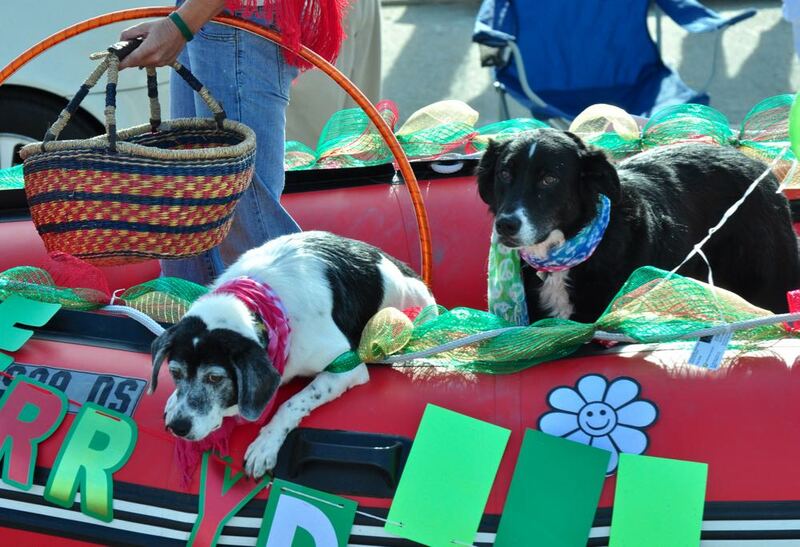 And of course, the 2015 Spirit of Christmas parade featured the basics: Oriental dogs. Vintage vehicles. Ear-thrumming fire sirens. A few elected officials — or those hoping to be. Oriental’s newly-sworn-in mayor and the first woman to be elected to that post, Sally Belangia. 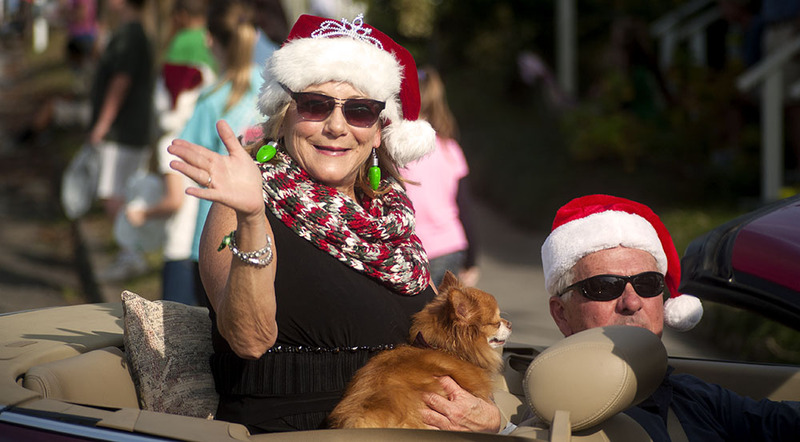 She rode in the parade with her dog, Cosmo, and husband Ken at the wheel. Her dinghy was a borrowed Jaguar. There were hurricanes too. 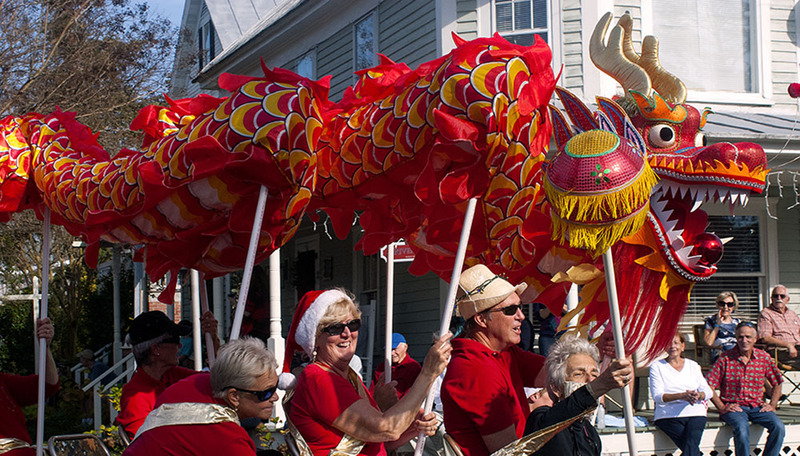 And even as the season has the mind turning to other mythical creatures such as say … elves, Oriental’s Spirit of Christmas parade featured at least one dragon. The Chinese dragon and its entourage, who will have their own parade to celebrate the Asian lunar new year this winter. 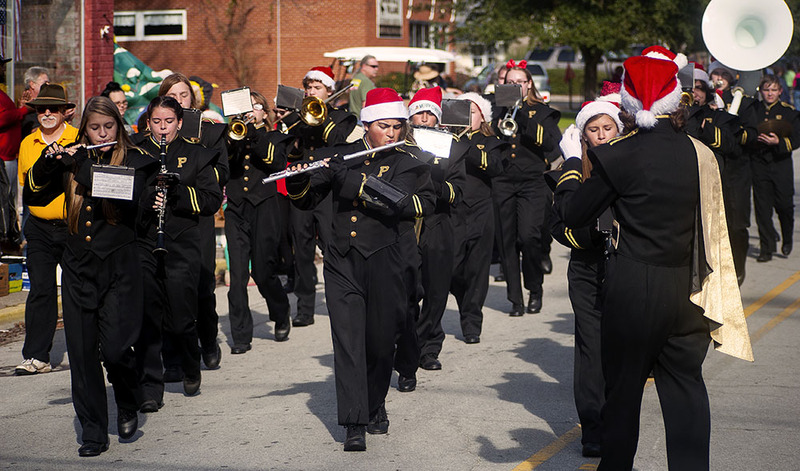 The Pamlico County High School Hurricanes Band early in the parade set the stage – no 74+ MPH winds but rather, Christmas tunes. Don’t try this on the way to a fire.